Our flagship model electric bike has been revitalized with an updated frame, metallic finish and upgraded with the latest electric bike technology. The ground-breaking SpinTechTM motor seamlessly connects the rider and the bike with the use of multiple sensors. Understanding and monitoring your riding style to ensure power is delivered as and when you need it. Providing you with 5 pedal assist settings in addition to the thumb throttle conveniently mounted on the handlebar. You are completely in charge of how you choose to ride. 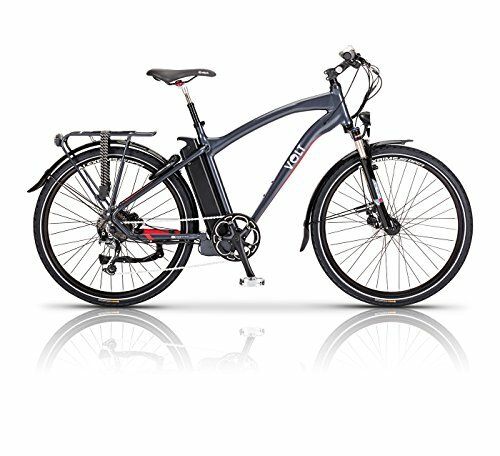 With a 19 inch frame with 26 inch wheels, plus the choice of a standard battery offering a 60 mile range or a large battery with a huge 80 mile range on a single charge, the pulse is a hybrid in every sense of the word.